Awesome batteries! Speed Monster with great time. 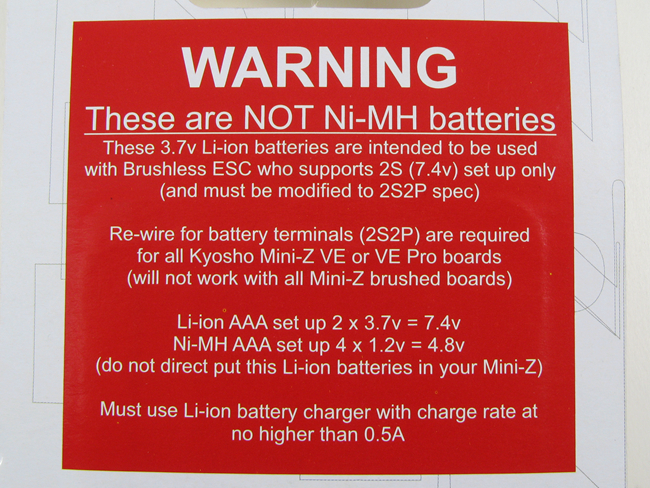 I used these in my Kyosho Mini Z MB010 Inferno buggy. I had to upgraded the motor to a Kyosho MZ504 VE Brushless Motor (needed to upgrade the ESC aswell (Kyosho MB023B Brushless ESC Unit 2.0). The stock servo side was fine and needs not to be replaced. Need to solder the two power supply wires from the new ESC. Very Important need a KT-19 radio or above. The KT-18 Radio will not work. 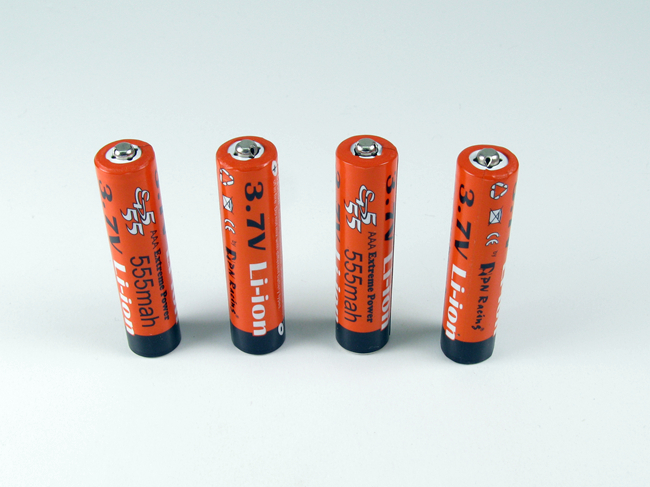 Also only can use two of the AAA 555mah Lion batteries along with two AAA placeholder dummy batteries. You can use a upscale charger as long as you get the PN Racing Mini-Z AAA Charging Tray with Balance Plug Part#: 500757 from Kenon Hobby. Im using a Hi Tec x4 AC charger with the balance tray. 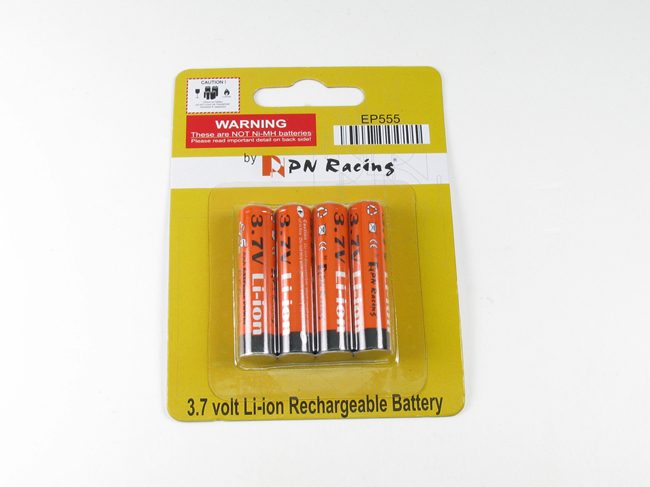 Choose Lipo and then v.type LiLo 3.6 (Li-ion) balance mode, choose 4s 11.6 to charge all PN RAcing 4 555MAH batteries (most these chargers are the same).